Successful UNITEC-1 launch and separation! 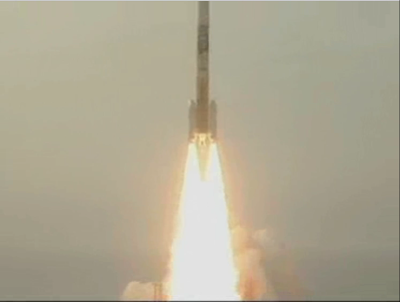 The launch of H-IIA F17 carrying AKATSUKI, IKAROS, UNITEC-1 and three cubesats was successful! So was the separation of UNITEC-1 which was confirmed at 22:48 UTC (Epoch time 22:46:20 UTC). We meet tomorrow afternoon at OZ7SAT for the first communication window predicted to begin around 17:21 UTC. At that time UNITEC-1 will already be at lunar distance! Until then, good luck to the Japanese ground stations with acquiring the first signals. Author Alexandru CsetePosted on May 20, 2010 Categories GNU RadioTags H-IIA, H2A, UNITEC-1Leave a comment on Successful UNITEC-1 launch and separation! 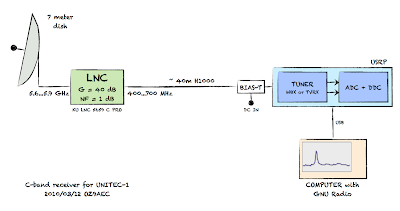 I have been playing with GNU Radio and GRC (GNU Radio Companion) over the weekend and I ended up implementing a very simple CW receiver. This will be very handy on Tuesday when we will be testing the 5.8 GHz UNITEC-1 setup for the first time using the OZ7IGY beacon on 5.76093 GHz. Here is a quick video demo of the receiver where I use my Yaesu FT-817ND to transmit a test signal.